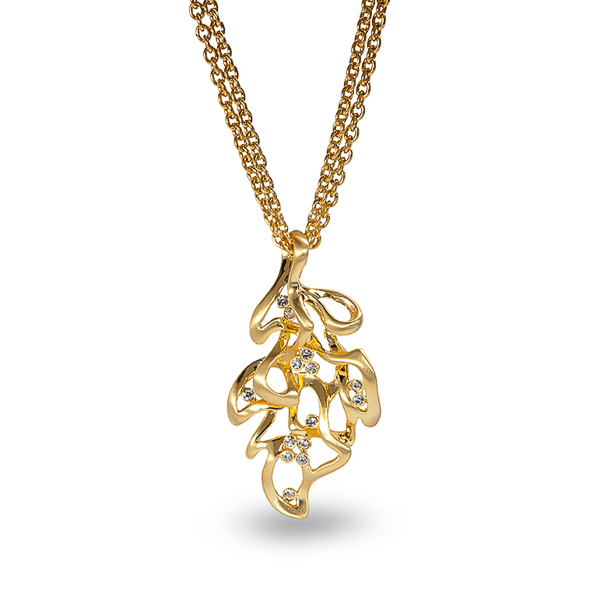 Description: This sculpted leaf pendant necklace will reacquaint you with mother nature. A breathtaking combination of brilliant and brushed 14k gold plating accented with glistening crystals all suspended gracefully from a double chain. Enter Quantity for N-AE014-YG to add to your shopping cart.